Corporal Harry Proctor, 4691532, 1st/4th Battalion, King's Own Yorkshire Light Infantry. Harry Proctor was born in late 1920, the son of Wilfred Proctor (born 27th December 1893) and Florence (Florrie) Chambers (born 31st August 1896), who married at Christ Church, South Ossett on the 5th February 1916. Wilfred Proctor, aged 21 years was born at Lees Moor, Keighley, and at the time of his marriage in 1916, a private soldier in the 9th Battalion, King’s Own Scottish Borderers. His bride to be, Florrie Chambers was 19 years old and living at 21, Happy Land, Ossett. It is likely that Wilfred was attached to the Machine Gun Corps, the "Suicide Squad", during WW1 and he was subsequently awarded the British and the Victory medals, but not the 1914-15 Star, indicating that he would not have served overseas in a theatre of war on or before the 1st January 1916. Consequently at the time that he married Florrie in February 1916, he would not have served overseas, but may have gone shortly thereafter. Florrie Chambers was one of twelve children, five of whom had died by April 1911, when she was living at Happy Land with her parents and three of her siblings. In 1901, Wilfred Proctor was living at Lees Hall Road, Thornhill with his parents and eight siblings. His father was a glass bottle maker Harry had two older brothers: Jack O. Proctor, born in July 1917 and Frank, born in 1919, plus four younger brothers: Eric, born in February 1924; Roy, born in July 1925, Fred, born in 1930, and Alec, born in 1938. By September 1939, Wilfred, a coal hewer and Florrie were living at 22, Mercer's Buildings, Gawthorpe, Ossett with sons, Jack, a shorthand typist; Eric and Roy, who were apprentice basket makers. Two names are redacted in the 1939 Register, but were, more than likely, two of their other sons, perhaps including Harry. Harry Proctor married Mary Fenton, of Dewsbury, in late 1943. The 1/4th Battalion, K.O.Y.L.I. was first in action in Norway in April and May 1940. It had been stationed at Northallerton prior to Norway. On June 22nd, 1940, the battalion sailed from Glasgow on the transport Andes as part of the 49th Infantry Division for Iceland, to hold that island in case the Germans attempted to seize it. On August 26th, 1942 the battalion returned to England and were quartered at Ross-on-Wye. After a period of training in England the Battalion landed in Normandy at Gold Beach, as part of the 49th (West Riding) Division, 146th Brigade, Division was under command of Major General Evelyn Barker. From then onwards until the Germans surrendered in May 1945, the Battalion was almost continually in action. The first full-scale Divisional assault carried out by the 49th Division at Cristot, the capture and holding of Tessel Wood during the battle of Fontenay le Pesnil in June 1944, and the capture of Le Havre in September 1944 were the outstanding actions of the Battalion in France. 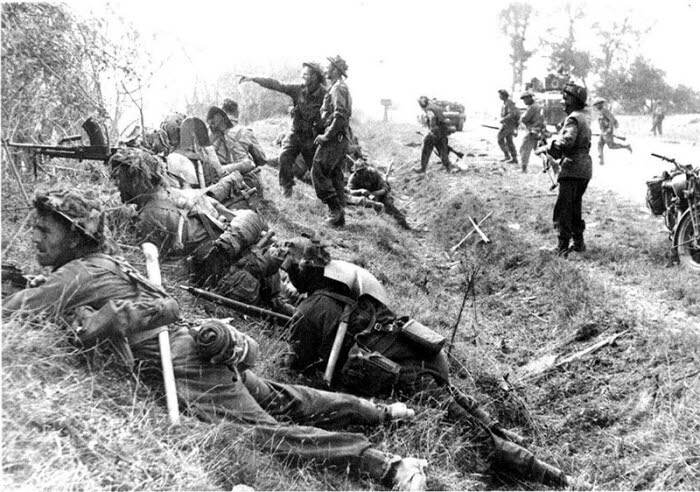 The severest fighting took place during the autumn and winter of 1944/45 in the Low Countries. Four months of cold, wet weather were spent in close contact with the Germans near Nijmegen. In April 1945 the Battalion advanced into Holland, capturing Arnhem, and ended the war in Utrecht. It is likely that Corporal Harry Proctor died during the Battle of the Scheldt, which was a series of military operations by the Canadian First Army, consisting of Canadian, British (including 1/4 K.O.Y.L.I.) and Polish formations, to open up the port of Antwerp so that it could be used to supply the Allies in north-west Europe. The battle took place in northern Belgium and southwestern Netherlands from October 2nd to November 8th, 1944. "Local War Casualties -Killed In Action In N.W. 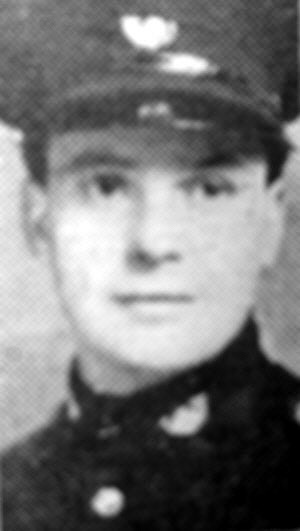 Europe - Corporal H. Proctor, Ossett - Official information has been received that Corporal Harry Proctor (24), son of Mr. and Mrs. W. Proctor, 7, Hillcrest Avenue, Ossett, was killed in action whilst serving with the Army in North-West Europe. A native of Ossett, he attended Gawthorpe Council School, and was afterwards employed at Wm. Sykes' athletic goods works, Horbury. A member of the Territorials, he entered the regular Forces automatically on the outbreak of war, being attached to the medical section of K.O.Y.L.I. He served in Norway and Iceland, and went to France on June 10th this year with the B.L.A., subsequently moving into Belgium and Holland. He was killed outright by a shell, which landed outside his regimental aid post. He was well-known in the town, especially in the Gawthorpe locality, and was highly respected. He had been attached to St. Mary's Parish Church since a child and was a member of the choir. He was keenly interested in football, and was a skilful billiards player, having won the snooker handicap at Gawthorpe Liberal Club on three occasions. He was married, but there are no children. His widow, who is at present living at 3, Park Parade, Dewsbury, has received a letter from Captain G.C.W. Harland, Commanding H.Q. Co., 1/4 Battalion, K.O.Y.L.I., in the course of which he pays the following striking tribute: "It is no exaggeration to say that your husband's death is mourned by practically the whole battalion. Everyone knew Corporal Proctor at the R.A.P., and the wounded soldiers who have passed through his capable hands run into hundreds. All his time and energy since landing on the Continent have been devoted tirelessly to the care and succour of the sick, the wounded and the dying. He never lost heart, and even under the most ghastly conditions was always on the job, cheerfully and patiently, doing the vital task of right-hand man to the M.O. He is terribly missed by those who knew him, and especially by myself, because I knew him exceptionally well. In 1940, he was in my platoon in Iceland, and I counted him amongst one of my nearest friends. His bravery and cheerfulness out here throughout these many trying months has never ceased to command my respect and admiration; and now, like so many brave men before him, he has passed out of the sight of men. He has made his supreme sacrifice and laid down his life and gone the way, that in is job, he saw so many soldiers go. It seems doubly tragic that a man who devoted all his energies to saving other people's lives should lose his own. You have every reason to be proud of such a husband, whom I know cannot be replaced in your life, and certainly cannot be adequately replaced in this battalion. His task is done, and it is you, his wife, who must endure the great grief and sorrow such a bereavement inevitably causes. He will be greatly missed by all of us, and, in sympathising with you, I also mourn the passing of a brave and lovable character who has served his country and his fellow-men so faithfully, so bravely, and so well." Harry Proctor died on the 27th October 1944, aged 24 years, and is buried at grave reference I. D. 21. at Geel War Cemetery, Belgium. Geel is located midway between Antwerpen (46 kilometres), Hasselt (38 kilometres) and Leuven. In the early part of September 1944, Geel was the scene of some of the heaviest fighting encountered by Commonwealth troops since they had left Normandy. The 50th (Northumbrian) Division and the 15th Scottish Division were both involved here in the forcing of crossings of the Albert Canal and the Meuse-Escaut Canal, necessary for the advance into Holland. Some of the casualties they suffered were originally buried in a meadow near the centre of the commune, and some in the St. Dymphna civil cemetery; these graves were later moved into Geel War Cemetery. The cemetery contains 400 Commonwealth burials of the Second World War, six of them unidentified. Above: Allied troops in the Battle of the Sheldt around Antwerp in October 1944. 1. "Ossett Observer", Saturday, November 18th 1944.